When talking about Taylor Swift we can not go pass her hits like Blank Space, Shake It Off, Love Story, You Belong With Me, and of course Style is one of them. 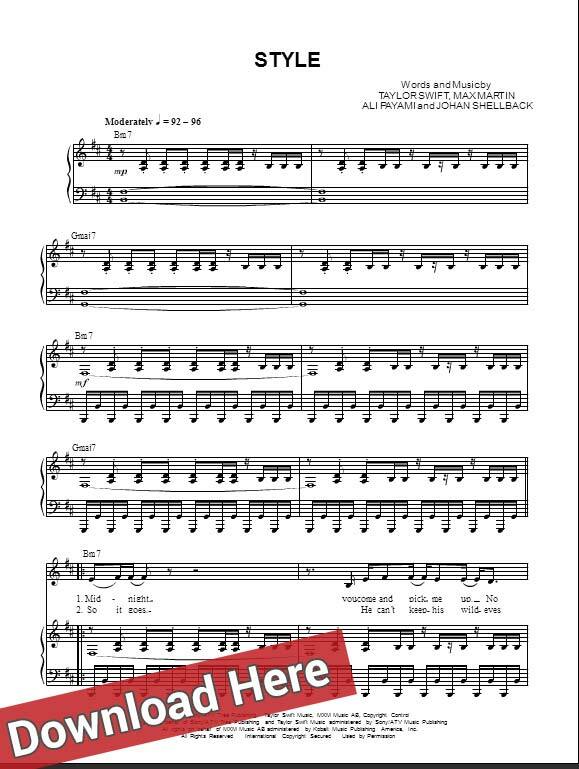 It’s easy to learn to play this 6-page notation and sheet music in D Major. Currently it is available only in backup vocals, piano and voice in range of B3 to D5.